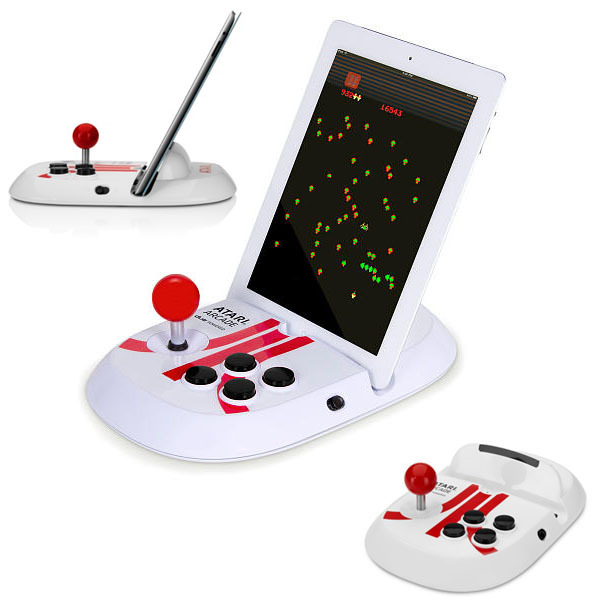 You might’ve seen the iCade iPad Arcade Cabinet shown in the past on GeekAlerts. Here’s another app-based accessory that scratches the same itch to give you that nostalgic arcade feel, but it has a sleeker, more updated look. 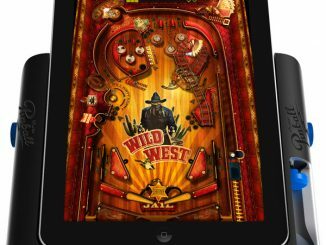 It’s the officially-licensed Atari Arcade for iPad by Discovery Bay Games. 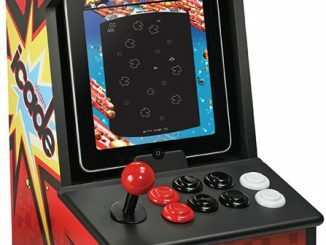 Atari Arcade – Duo Powered brings Atari’s arcade classics right to your iPad. 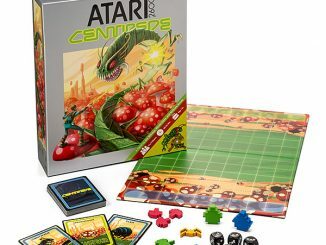 Relive the fast-action excitement of all your arcade favorites, like Asteroids, Centipede, and Missile Command. 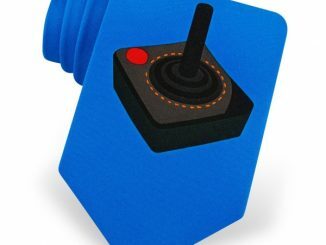 Simply connect your iPad to Atari Arcade, download Atari’s Greatest Hits app for Duo, and you’re ready to share the fun with family and friends anywhere! 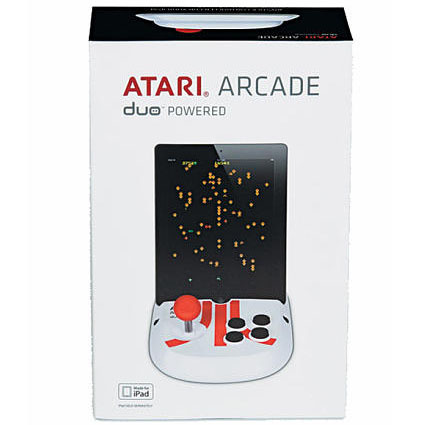 With its joystick and buttons, Atari Arcade – Duo Powered is exactly the way arcade games were meant to be played! Game controllers like those for Xbox and Nintendo consoles pretty much do everything we want them to. 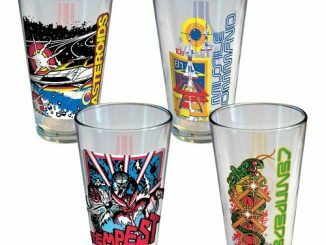 But if you grew up spending all your allowance on tokens at the arcade and playing Atari games, part of you might still yearn to command the old joystick and shoot aliens by smacking buttons. 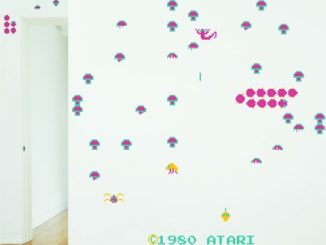 And you’ve got to admit that 8-bit games are just plain fun. 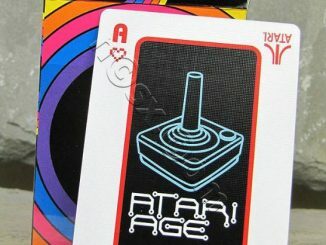 Through the Atari’s Greatest Hits app, you can buy entire game packs featuring 4 games for only 99 cents. For example, if you couldn’t get enough Asteroids back then, you can pick up where you left off when you purchase the Asteroids game pack. 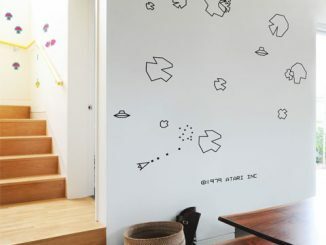 It includes Asteroids, Asteroids Deluxe, Asteroids 2600 and Cannon Bomber. 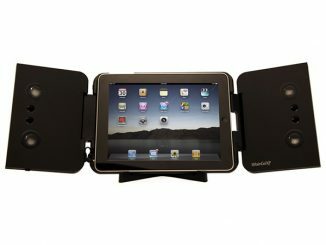 The Atari Arcade for iPad dock is thin and compact, so that it can be slipped in a backpack, purse or briefcase. 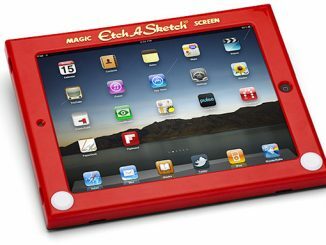 And since it requires no batteries, it’s probably not too massive. 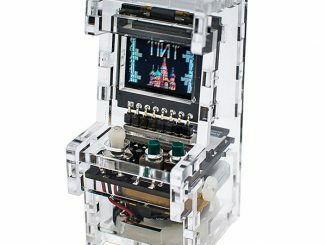 It’s hard to believe that you don’t have to be a millionaire anymore to have your own personal arcade, nor do you need a big stash of change/tokens to play. 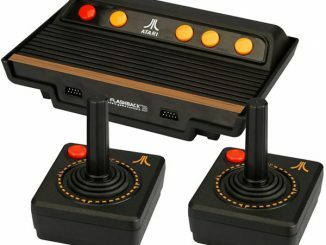 The Atari Arcade for iPad is $59.95 at the Apple Store, $59.99 at Amazon.com, $59.99 at Skymall, and $59.99 at Toys R Us.